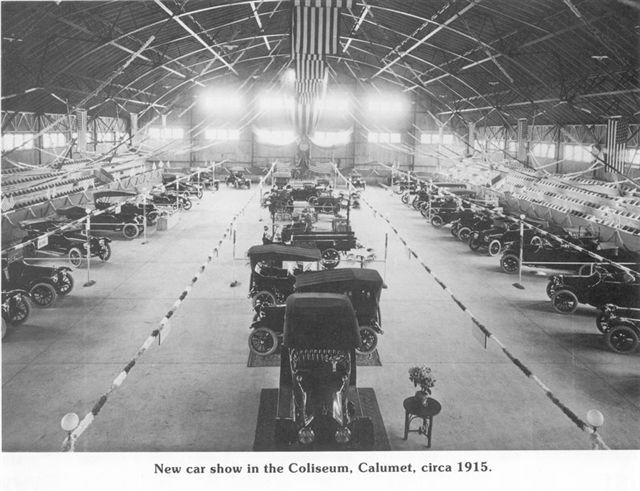 The Calumet Colosseum, built in 1913, is the OLDEST indoor ice arena still in use in the World! is the 7th oldest indoor ice rink still in use in the WORLD! 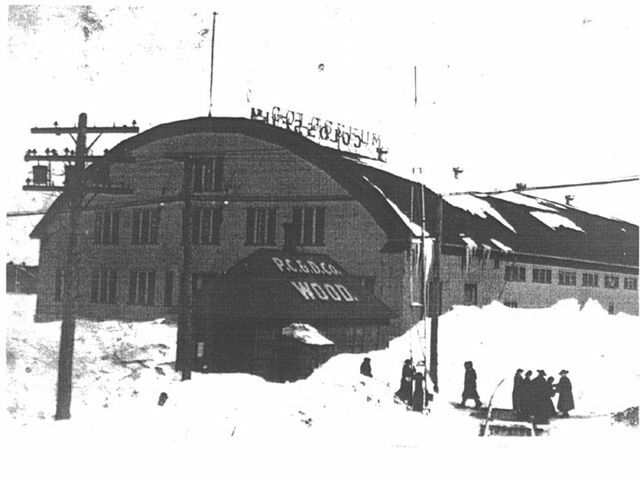 Pre 1900: The Palace Ice Rink, located on the North shore of Portage Lake, in Ripley, was the first covered rink used in the Copper Country. 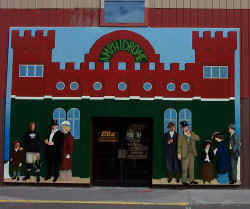 It was used for several years at the turn of the century as an ice rink around 1900. 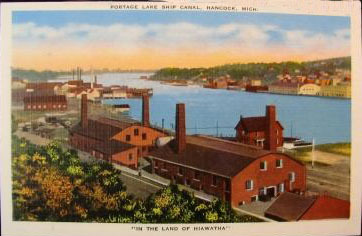 It was in one of the abandoned Portage Lake Foundry buildings, a former Lake Superior Smelting Works building. It had posts down the middle so it made for interesting hockey games! 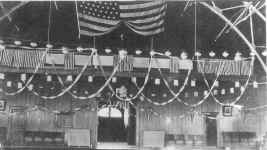 For a game between the Portage Lake team and Kenwood team of Chicago, on Feb 21, 1902, to determine the Champions of the West, the Palace was packed with 1,000 fans; many more had to be turned away as it was filled to capacity. Portage Lake walked away as Champions of the West with a 5-0 win. 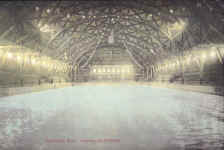 The Palace ice rink in Ripley was closed down the day the new Amphidrome was ready for skaters on December 26, 1902. The Palace Rink Manager transferred his duties to the new Amphidrome rink in Houghton which was located just across the Portage Lake from the Palace. In 1906, Hancock hockey supporters secured the Palace and fixed it up at considerable expense for the High School and other Hancock teams to practice and hold games. 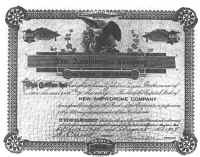 The following year, according to "The Ingot", a Hancock High School publication, dated January 1907 issue: "the Amphidrome Company got control of it and refused to turn it over to the Hancock people who had paid for putting it in shape for use. 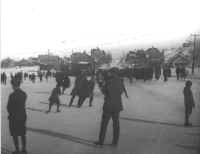 It was turned over to the curlers who in turn refused to allow the use of it for the school children or teams on the ground that ice used for skating was not good enough for curling." 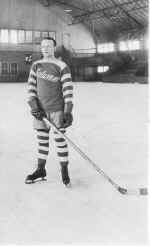 As a result, Hancock, who's High School team had won the Michigan Championship in 1906, had no hockey teams in 1907. The Palace ice rink is probably one of these buildings. 1902:The Amphidrome was built in 1902 on the South shore of Portage Lake in Houghton, Michigan, and was the first structure ever built in this country specifically for hockey. 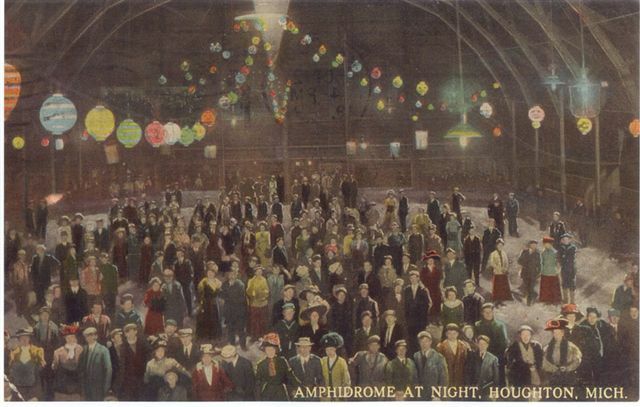 The Amphidrome Company was organized in 1901 when it acquired the location on the shore of Portage Lake from the Ruppe estate. Early the next year, the main rink building was completed. 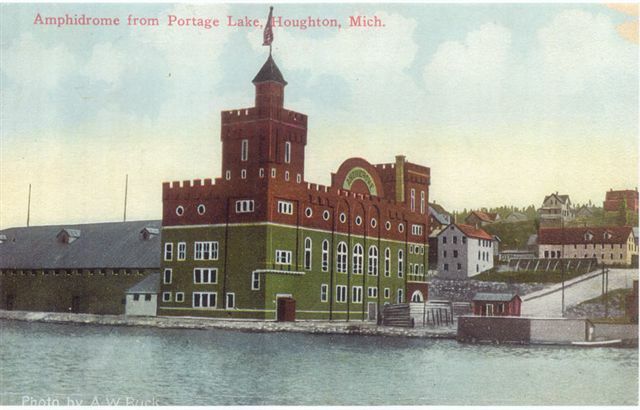 This rink was built specifically for the Portage Lake Pro hockey team; they played their first game there December 30, 1902. 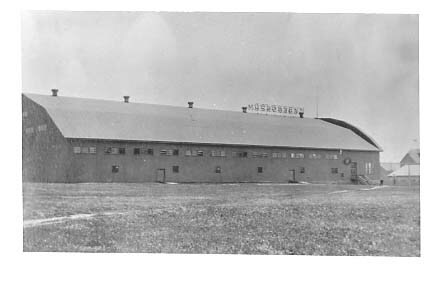 It was also used by the other local amateur hockey teams and skaters and as a indoor roller skating rink in the summer as well as numerous dances, the annual community fair, and other events from 1902-1927. 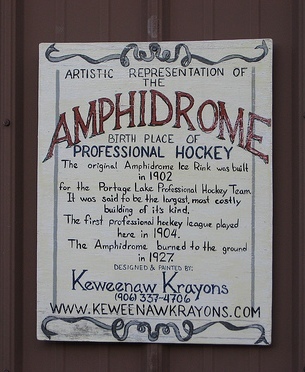 "The Amphidrome, popular social and recreational center of the Portage Lake district for more than a quarter century, was destroyed by fire early Sunday morning just a few hours before what promised to be one of the greatest hockey games ever stage in the historic arena.... There had been nearly a complete sell-out of reserved seats for the Calumet-Portage Lake game, and the management of the hockey association had made plans to take care of a crowd of 2,000 spectators. 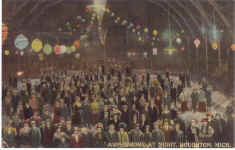 Calumet fans had arranged for six special street cars, and a large gathering was coming from the north end by automobile.... 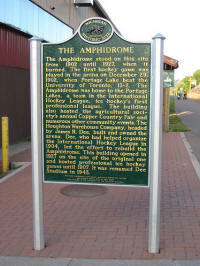 It was the first enclosed natural ice rink in the United States.... 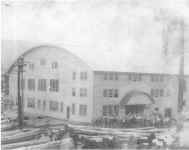 The fire was discovered at 3:45 [AM] o'clock in the upper part of the Armory annex, and within an hour the huge structure was reduced to ashes. 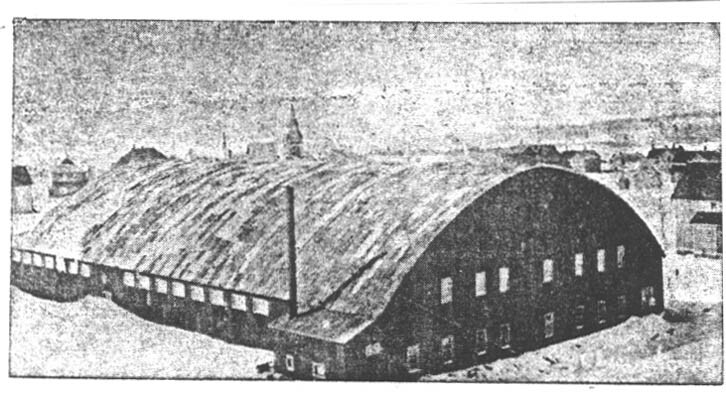 Beside the Amphidrome, a large warehouse owned by the Lake Superior Produce Co. and occupied by the Hansen Motor sales, was destroyed with all its contents, including about 30 used automobiles, two new ones, and valuable garage machinery and equipment. The monetary loss in the Amphidrome, including the building, furniture, equipment and hockey supplies, is estimated as $90,000. The amount of the insurance was $27,000.... The Portage Lake hockey team, the Michigan College of Mines team and the Houghton and Hancock high school sextets all lost their equipment, including suits, skates, shoes, pads, gloves and sticks. 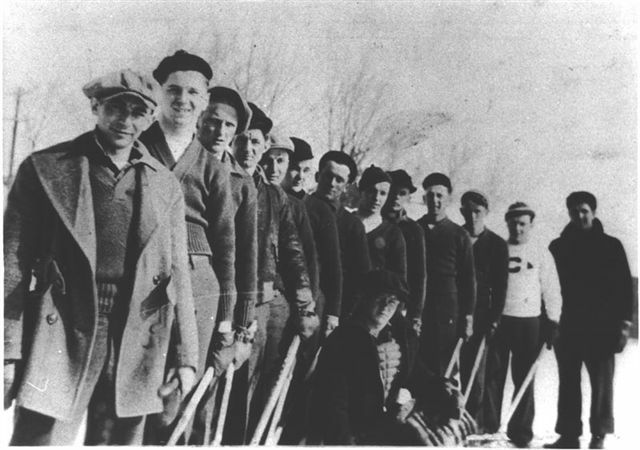 Some of the equipment belonged to the players themselves but most of it was owned by their respective schools and hockey clubs..."
Skating near the location of the burned Amphidrome 1927. 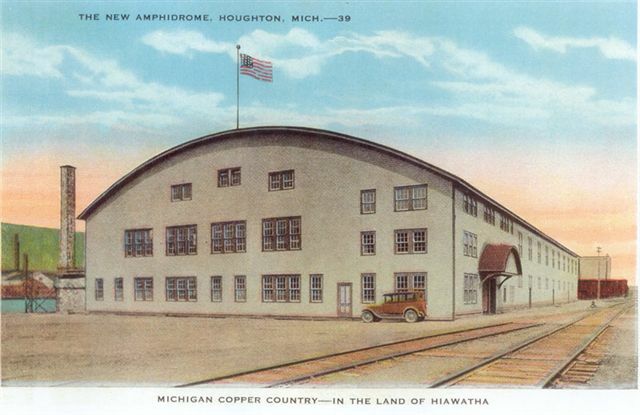 The New Amphidrome is located on the South shore of Portage Lake in Houghton, Michigan: 1927 to present. Driver is - , --, Joe Bukovich, --, --. for the Pro Hockey Centennial Celebration here in Houghton. 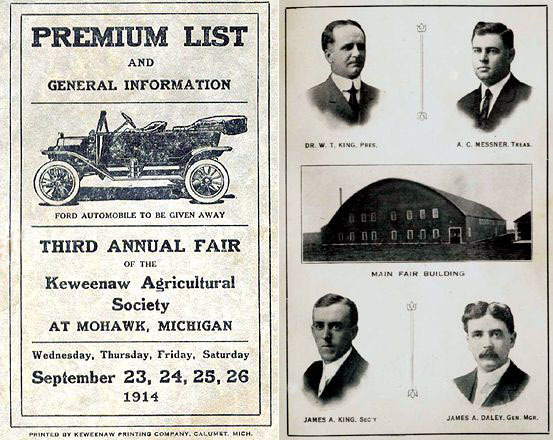 1904: The Palestra was originally built in nearby Laurium, MI, in 1904 by Nels Ulseth of Calumet who was the foreman for his uncle, Edward Ulseth, a Calumet area contractor. 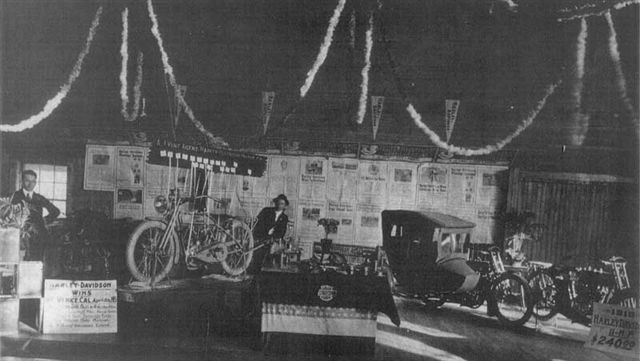 It had a seating capacity of 4,000 . 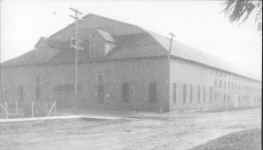 The skating surface was 180 feet x 78 feet and was the first home of the Calumet professional hockey team (IHL 1904-1907). 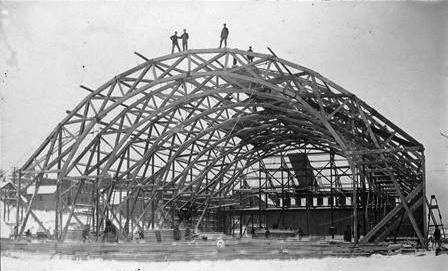 The building itself was 265 feet long by 124 feet wide, held up by 2x10 inch steel framing. In 1914, a new heating plant was installed and according to the paper at the time: "carpenters [are] engaged in rearranging the waiting rooms, offices, mechanical rooms and dancing floor." 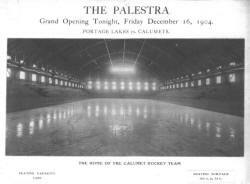 The Palestra then went into a period of several years of disuse in Laurium until a group from Marquette Michigan, some 100 miles away, were looking to build Marquette's first indoor ice rink. 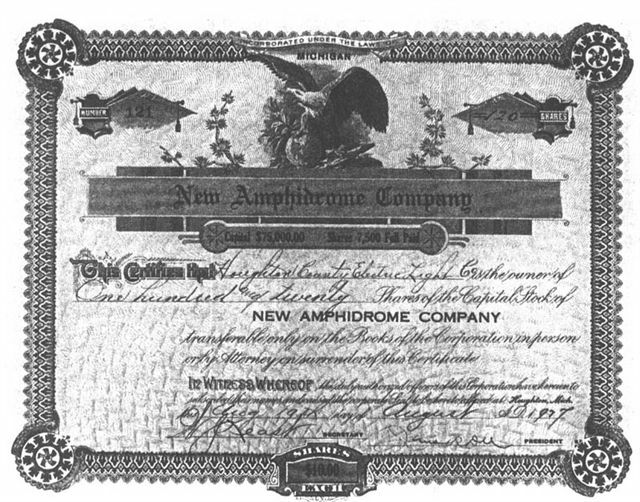 They formed the Palestra Company and bought the Palestra for $15,000 on September 17, 1921. 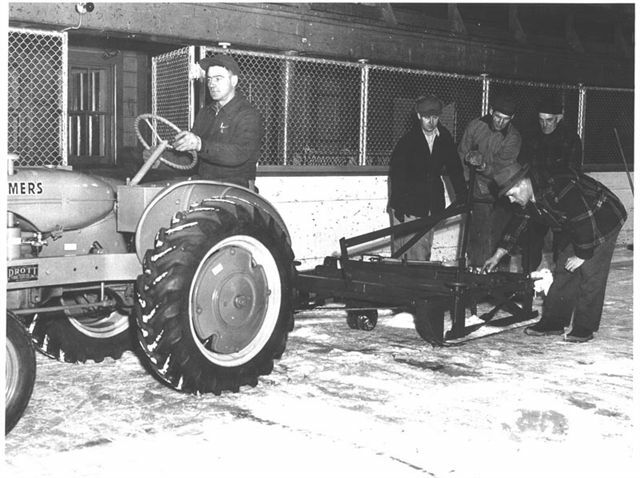 Edward Ulseth contractors of Calumet disassembled the rink, placed it on a rail car on the adjacent track to transport via rail to Marquette; 55 days later, Ulseth had it all reassembled on the corner of 3rd and Fair in Marquette in time to play the first game December 22, 1921. It sported natural ice until the late 1940s. 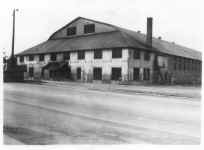 In 1954, the ballroom was destroyed by fire and rebuilt, the building was then dismantled in 1974 when the nearby Lakeview Arena opened. This location is now occupied by the Berry Events Center ice rink which hosted the World Cup of Speed Skating in November of 2009. The Palestra name is Greek in origin, denoting "an athletic training center." The first hockey game was played in the Laurium Palestra Dec 16, 1904, between the two local representatives of the professional International Hockey League, Portage Lake and Calumet. Calumet won by a score of 4-3, attendance was 3,000. 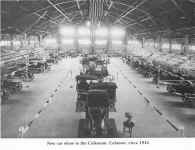 At the time, the population of the copper mining town of Calumet was 4,668.
with the builder Nels Ulseth & his wife Kaja. Photo courtesy of Fritz Wilson; his relatives pictured: Sig & Helen Wilson, 3rd & 4th from left; they had two front row season tickets. The Colosseum was constructed with "8 massive [metal] arches" and had an electric sign above it that was 50 feet long and the "Colosseum" letters extended 8 feet above the ridge of the roof. Charles Nyberg was the first ice maker. 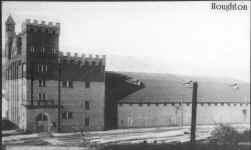 The Colosseum was sold to the State of Michigan in 1942 to replace the National Guard Armory, which had burned down across the street on January 9, 1942. 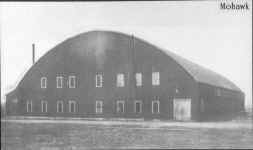 The Colosseum Rink building was then called the Calumet Armory. 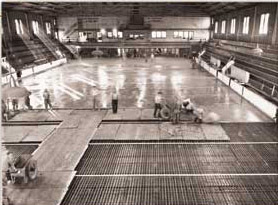 Artificial ice was installed in the Armory during the 1968-69 season and was available for the entire year in 1969-70, which coincided with the advent of the current Lake Superior High School Hockey Conference. This returned high school hockey to the arena for the first time since World War II. 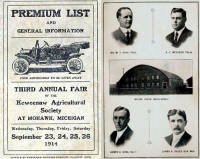 The original high school league members in this conference were Calumet, Eagle River, Wis., Hancock, Houghton and Marquette. The Calumet Hockey Association leased the ice surface from the State of Michigan each winter from October to April, and sub-leased to other renters, offsetting their operating expenses. 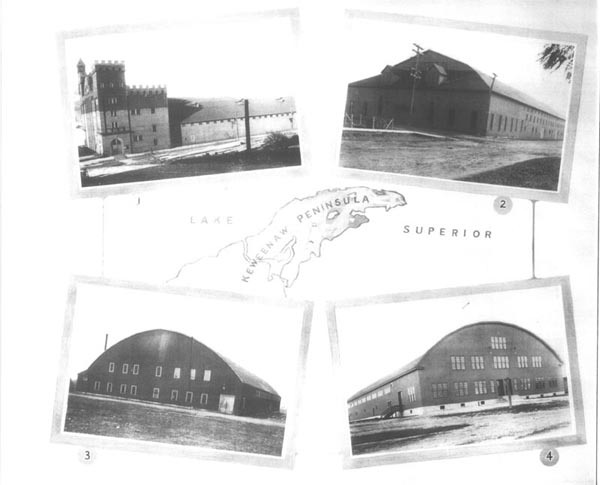 According to Bob Erkkila: The installation of artificial ice put the Calumet Association on a level playing field with Houghton, Marquette and Sault Ste. Marie for the first time since it's inception. 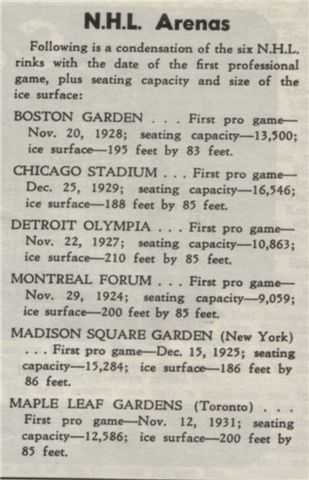 These other arenas had all benefited from artificial ice in their facilities since the late 1940's and early 1950's. 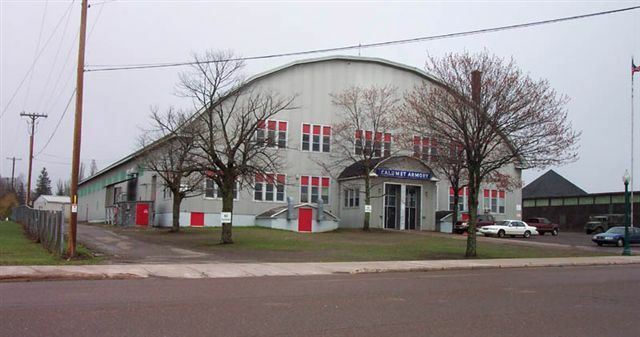 In the summer of 2005, the National Guard moved into a new Armory, and the Calumet Hockey Association, along with Calumet Township, took over the old Armory building operations on a full time basis. 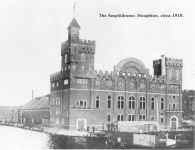 In keeping with the history of this building, they renamed the ice rink the Calumet Colosseum as it had been called when it was first built in 1913. Pictured above is Wee Young, a hockey player on the Calumet Hawks team that won the MacNaughton Cup in 1928. His mother lived in Canada and was the team's "scout". 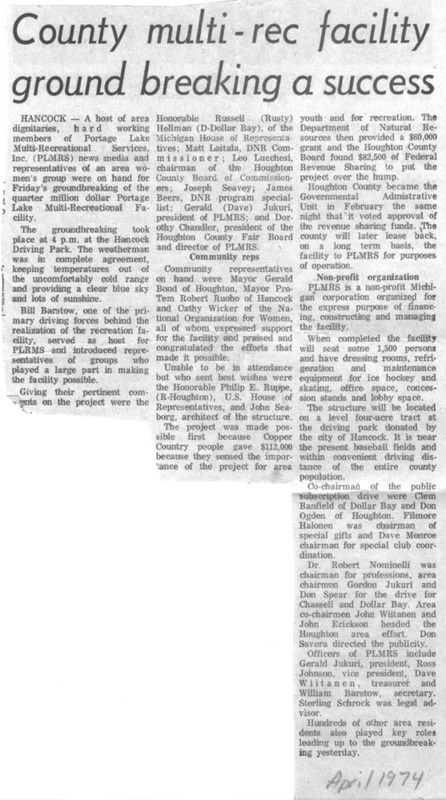 1974: The Houghton County Arena was built in the summer 1974 at the Driving Park in Hancock at a cost of a quarter Million dollars ($ 112,000 from public subscription, $82,500 from Houghton County via Federal Revenue Sharing, $60,000 Mich DNR Grant, along with many hours of donated labor and other financial and equipment donations.) It was built on a 4 acre tract donated by the City of Hancock at the Hancock driving park. The ice is 200 foot by 85 foot, with seating for 1,500 and originally with 4 dressing rooms and 4 showers; the ice plant was installed in late 1975. Locker rooms for the Hancock high school team were later added upstairs and then lockers for the Finlandia University men's and women's teams were added upstairs. 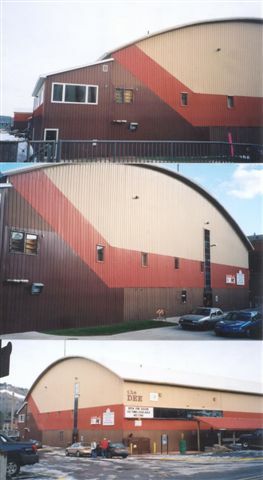 In 2005, an enclosed spectator room was added above the rink. 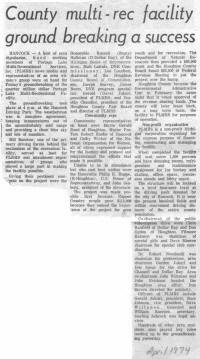 1976: The George Gipp Rink, originally called the Bi Centennial Ice Rink, in Laurium was built in 1976. The lockers were added in 19-- and the ice plant in 19--. 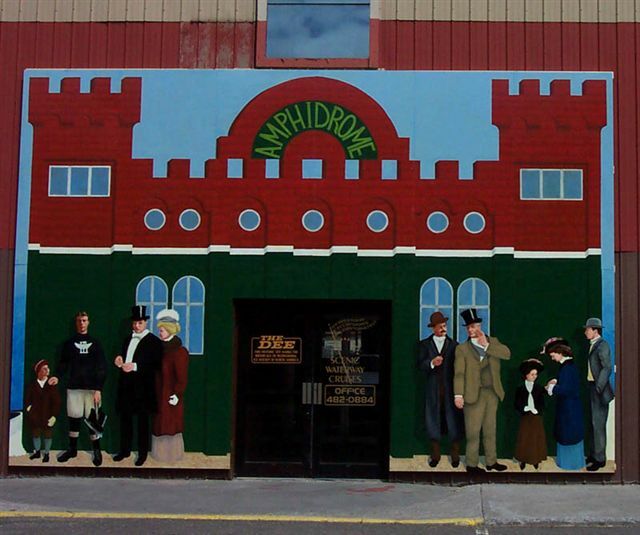 The building name was changed to the George Gipp Area in 19-- as a tribute to the famed Norte Dame football player who grew up here in Laurium. 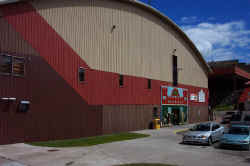 This artificial ice facility was a non-regulation size rink, but excellent for the development of the younger players. 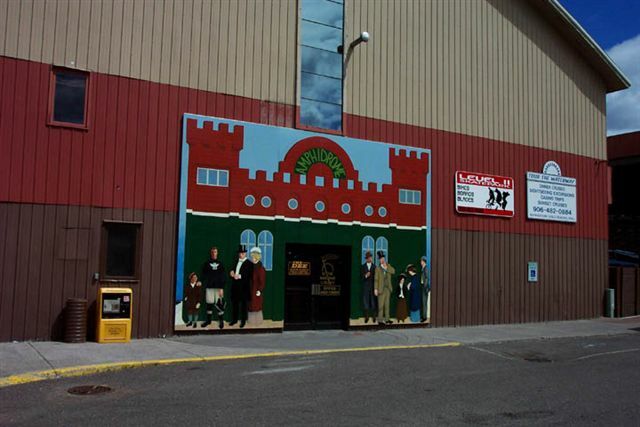 When public skating was no longer available at the Calumet Armory due to liability concerns, this Laurium Village owned rink became the main source of open skating for the area for a while, according to Bob Erkkila. Next to this rink is the former Laurium Airport Rink. This was originally a 80x60 foot brick building that was built during the Depression by WPA workers to serve as an airplane hanger. 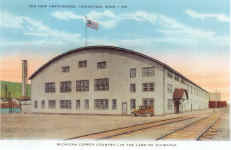 It was completed in 1934 and was used for a hanger until the airport was closed to all air traffic in the late 1950's. In the early 1960's, it was remodeled from the 80x60 foot airport hangar into a 140x60 foot enclosed natural ice skating and hockey rink by the Village of Laurium who owned the building. 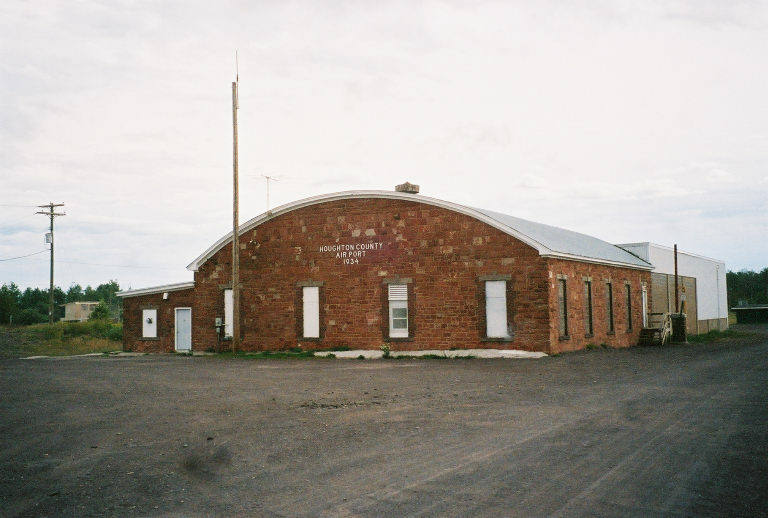 It was used by the Calumet Hockey Association, the Calumet Figure Skating Club, for hockey rentals, and for public skating. The rink was very small and was used only for practices by the older teams and for games for the younger mites and occasionally squirt age players. 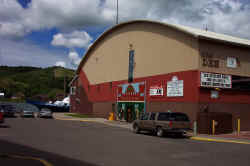 It remained in use as a rink until 1976 when the Bi-Centennial Arena was erected as it's replacement. 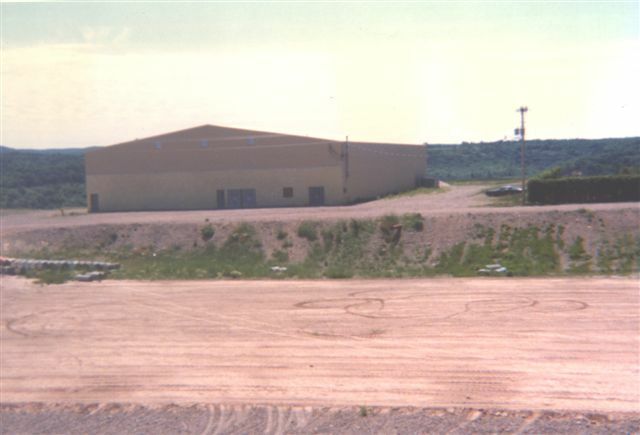 The old hanger rink is still owned by the village and serves as a garage and repair facility for their equipment and vehicles. 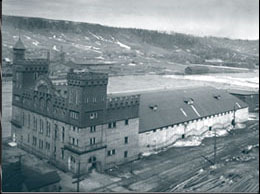 The Portage Lake Pro team played Pittsburgh teams in the Duquesne Gardens Arena in Pittsburgh, the first artificial ice rink. Looking towards Hancock in the background. 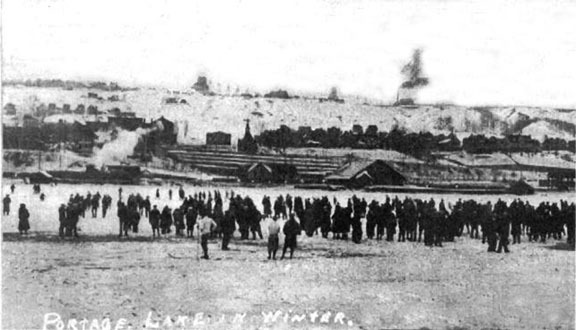 A reader suggests this is the Tamarack ice rink in Tamarack Location near Calumet: "It didn't have any boards; it did have a warming shack with a stove - a place to put on your skates, and warm up. It was used for local public skating and pick-up hockey games. Size, probably around 160 x 80 feet or so. 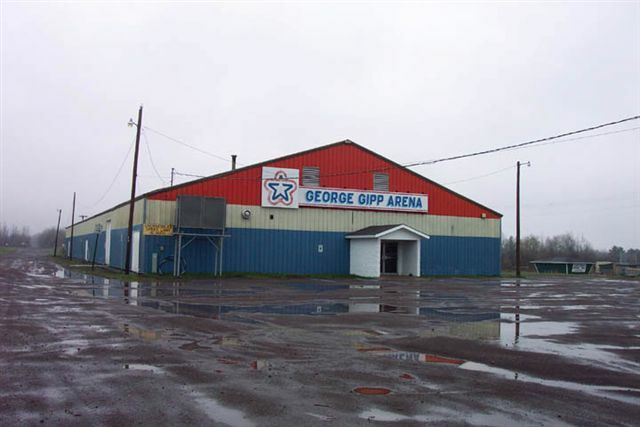 Like most outdoor rinks in the Copper Country, the kids using the rink kept it scraped and flooded." info from Sandie (Koskiniemi) & David Harjala. 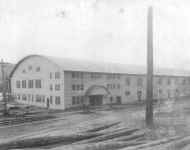 There even was a skate rink at the CCC Camp at Camp Pori near Mass; this later became a WWII Prisoner of War Camp where German POWs were used to log the timber since most local able bodied men had left for war. 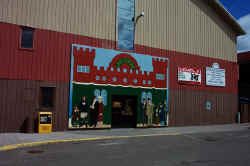 "I grew up using and maintaining the Copper City ice rink from 1950 to 1962 when I went into the Army. We had nice 4 ft boards all the way around, a 180x90 ft surface, oil heater, old fire hose to flood with, and a powerful outdoor speaker for the music for skating. It was great! 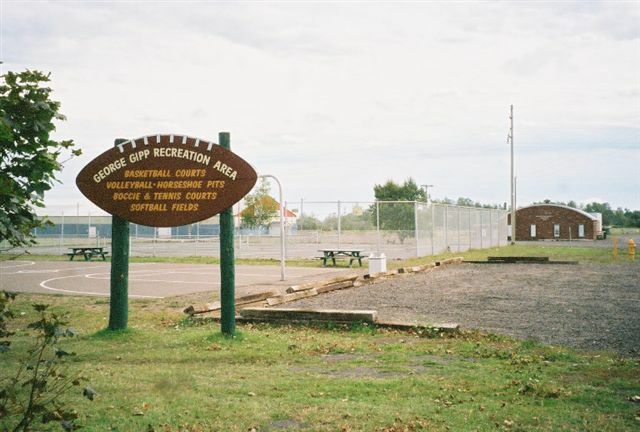 We always had crowds for skating every evening, and fun local pickup hockey as well as games with our neighboring rinks in Ahmeek and Fulton Location. Some of my best childhood memories are the all-night flooding to build up the ice surface in the first week of December; rushing home from school to get our hockey gear so we could play before supper and before public skating; and many hours of keeping fit by scraping and shoveling the snow over the boards. We didn't have snow blowers then. We sold pop and snacks in the concession corner where the 45rpm record player and power amplifier were, which helped pay for utilities and new records. What memories this has stirred up!... It is interesting that those images are as fresh in my mind as if it was yesterday, such as the hanging strings of lights with insulated sockets wrapped with friction tape (the same tape we used on our hockey sticks) with bare 100 watt light bulbs! (We often had to clean broken glass off the rink when the puck broke a light bulb!)" **The Boston-Matthews Arena owned by NW University in Boston and first opened in 1910, claims to be the oldest operating indoor ice rink in the world. 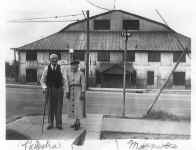 However, they are ignoring the fact that their rink burned downed not once, but twice, first in 1918 (see photo below) and again in 1948; their own webpage tells how the rink has been rebuilt 4 times. THEREFORE, the Calumet Colosseum, built in 1913 is the OLDEST indoor ice rink still in operation in the WORLD! The Amphidrome indoor rink, built in nearby Houghton, Michigan was built in 1902; if we ignore the fact that the original Amphidrome burned down in 1927, and was rebuilt in time for the next season on the same footprint, then the Amphidrome-Dee Stadium is the oldest indoor ice rink in the World! 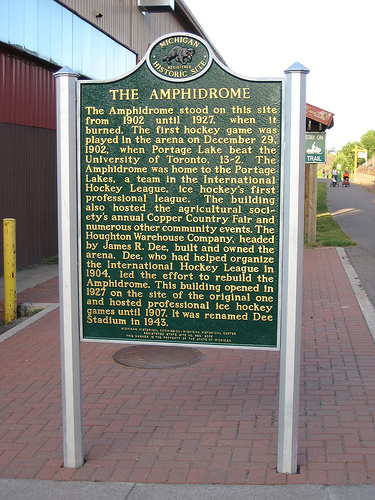 However, even though the Amphidrome -Dee rink was first built in 1902, we consider the age of the current Dee rink, which was built on the same rink surface, in 1927. 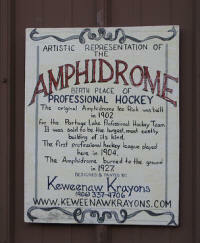 This date makes the Amphidrome -Dee Stadium in Houghton Michigan the Sixth Oldest Indoor Ice Rink in the WORLD! 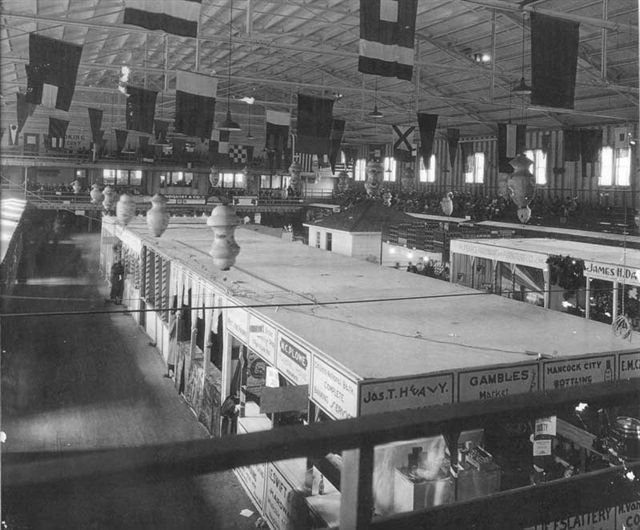 The Second Oldest operating indoor ice rink in the world is Canada's oldest rink; the Galt Arena Gardens in Cambridge, Ontario, Canada, opened in 1922 and is still used as an ice rink today. 1. 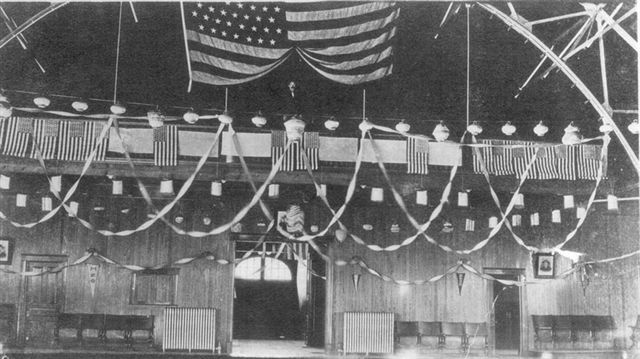 Calumet Colosseum in Calumet, Michigan, United States; built in 1913. 2. 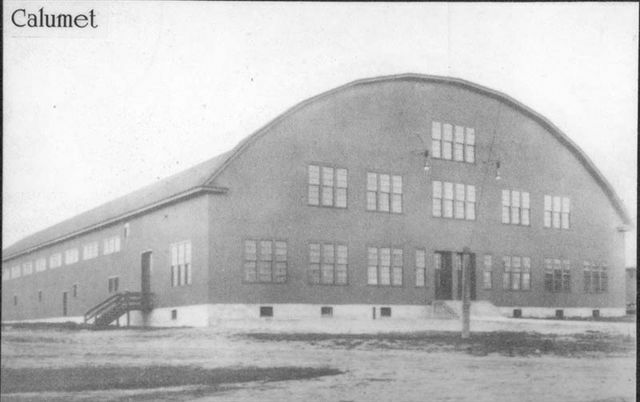 Galt Arena Gardens in Cambridge, Ontario, Canada; built in 1921, opened January 1922. 3. Hobey Baker Memorial Arena, Princeton, New Jersey, United States; completed in 1923. 4. Stratford Arena now called the William Allman Memorial Arena, in Stratford, Ontario, Canada, built in 1924 opened Dec 1924. 6. 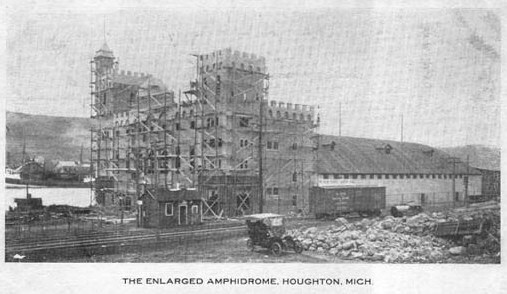 Amphidrome - Dee Stadium in Houghton, Michigan; originally built in 1902, was burned in 1927 and rebuilt on the same footprint immediately in 1927. Please contact webmaster if you have any additional info or pictures of local Ice Rinks.